Our multi-color gymnastics incline mat (also commonly called gymnastic wedge mats or gymnastic cheese mats) is extremely popular. It can be used as a tumbling aid, crash pad, or landing mat. 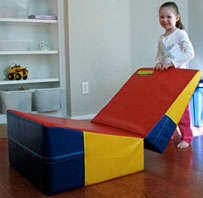 With our gymnastics wedge mat, kids can easily master basic rolls, walk overs, and hand springs. This high quality kids incline mat is filled with prime 70 ILD polyurethane foam core and covered with a tough heavy duty 18oz vinyl. The covers close with sturdy nylon zippers permitting easy foam replacement whenever necessary. These incline mats are 30” x 66” x 16”. 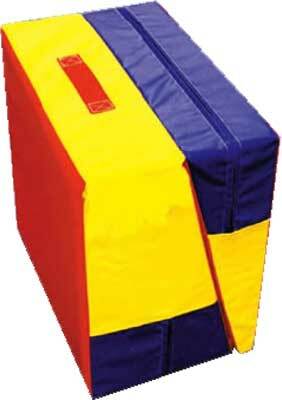 When folded, these kids gymnastic wedges make excellent 30" x 33" x 18" gymnastics spotting blocks and easy storage. Our gymnastics incline mat (also commonly called a gymnastic wedge or cheese mat) is extremely popular. It can be used as a tumbling aid, crash pad, or landing mat. 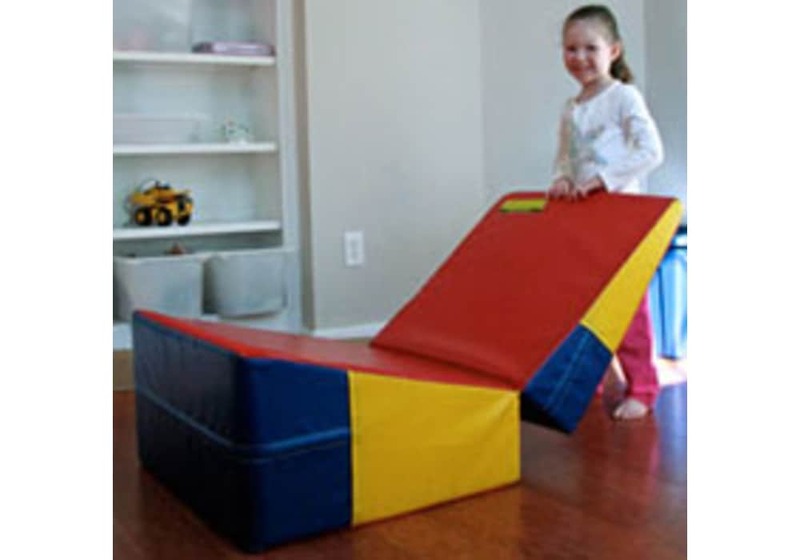 With our gymnastics wedge mat, kids can easily master basic rolls, walk overs, and hand springs. This high quality kids incline mat is filled with prime 70 ILD polyurethane foam and covered with tough 18oz vinyl. The cover is closed with sturdy nylon zippers, permitting easy foam replacement if ever necessary. When folded, these kids gymnastic wedges make excellent 30" x 33" x 18" gymnastics spotting blocks. Also see our entry-level, 12" tall, gymnastics inclines! Size: 30" x 66" x 16"
Firm, 70 ILD, polyurethane foam core. Surface: Heavy duty vinyl cover. Makes an excellent 30" x 33" x 18" spotting block when folded.